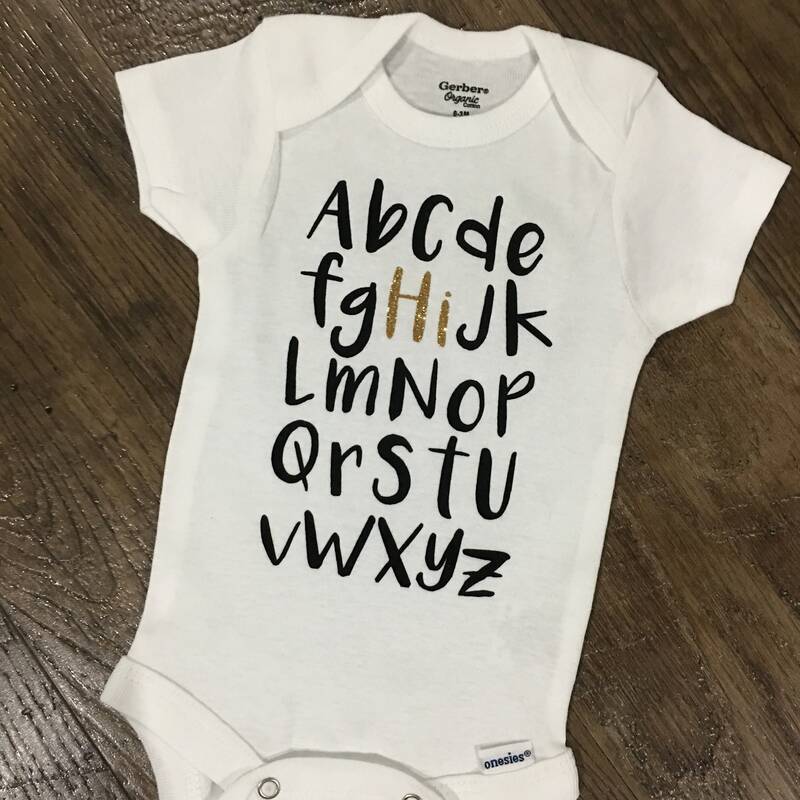 ABC Hi 100% Organic Cotton Baby Onesie - One Piece Bodysuit - Gender Neutral Baby Shower Gift - Boy or Girl - Custom Design Colors! Photo shows white onesie with gold glitter design. 1. Select your onesie size from the drop down menu. 2. 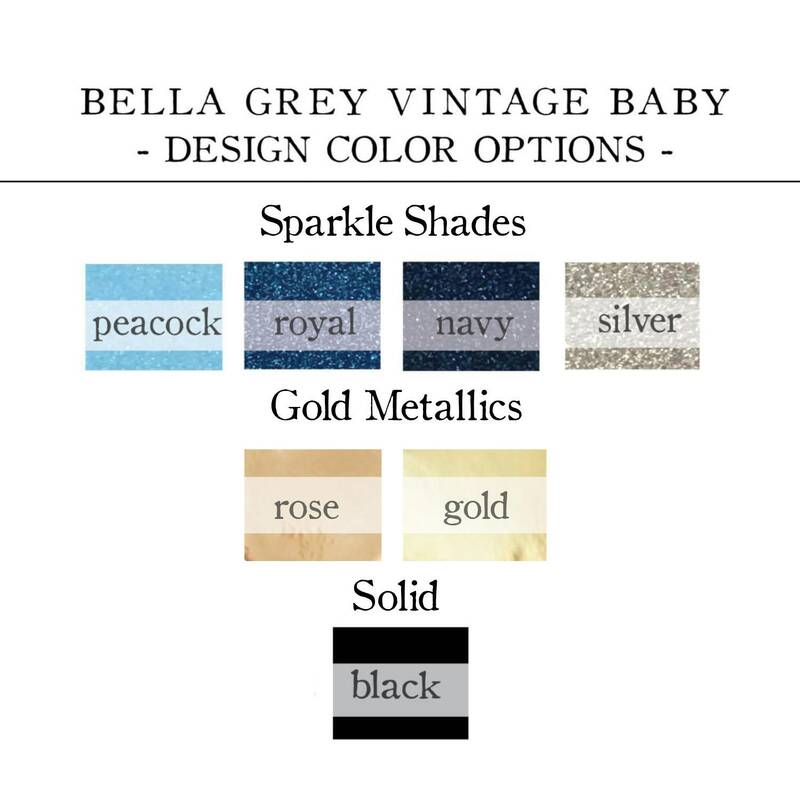 Select the accent color you'd like for the "hi" from the drop down menu. The rest of the alphabet will be designed in black. So adorable and in a really beautiful package!